In 2018, you couldn’t attend a corporate event, a party, or a wedding without being handed a plastic mustache on a stick and getting pulled into a photo booth. Photo booth companies – like our friends at the Slow Motion Booth – got creative with their offerings, breathing new life into the old carnival staple. But what if you’re a wedding photographer, how do you get in on this candid photography trend? 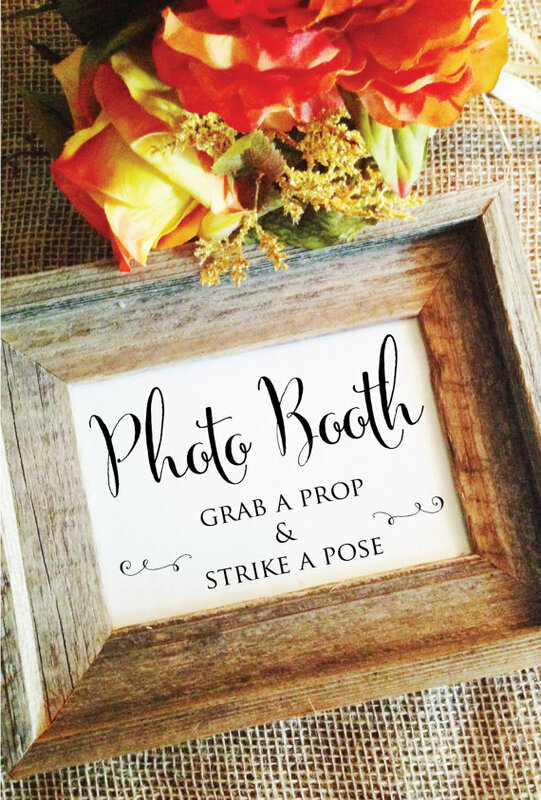 Easy – you create a kind of DIY photo booth (it’s really more like a step-and-repeat) that your clients will love and help them capture more candid shots at their big event. Really, all this requires is a place to do it, a small amount of extra time, and a slightly elevated level of customer service. 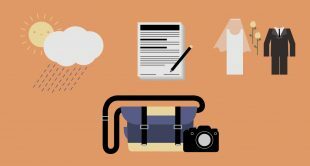 But if you’re willing, your clients will love it and you’ll be able to double as a candid photographer as well as a wedding photographer — making you one of the most successful photographers around. Here are some DIY photo booth tips along with photography tips to capture those fleeting moments that make for the best candid images. To be honest, a nice, second-hand sheet can do the trick just fine. If you really aren’t that crafty, a plain white wall will do fine, as well, but making a backdrop can be pretty fun. 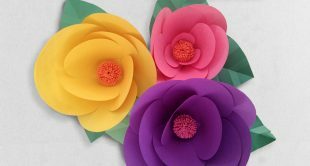 Robert Mahar shows you how easy it can be to make a paper flower backdrop in his class, How to Make Paper Flowers. Mobile backdrop stands are pretty inexpensive, and if you ever do studio photography, there’s a good chance you have one lying around. If you want to make one yourself, Kevin Kubota can help you put one together from basic hardware store items. To make a DIY backdrop, just follow this tutorial for a scrim – but rather than using a deflector material, use your preferred backdrop. Weddings can often have low light conditions so set up a separate flash and bounce the light off a white umbrella to diffuse it. 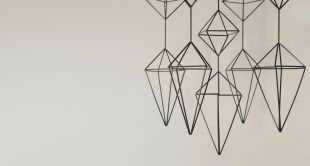 This will ensure that everyone is well-lit but also looks their best. You can put together that whole set-up for cheap. Test out your lighting functionality the day before, during the rehearsal. Then, on the day of the event, you can put your camera on a tripod, get your lights in place, mark where it’ll be, and start snapping those perfect shots. 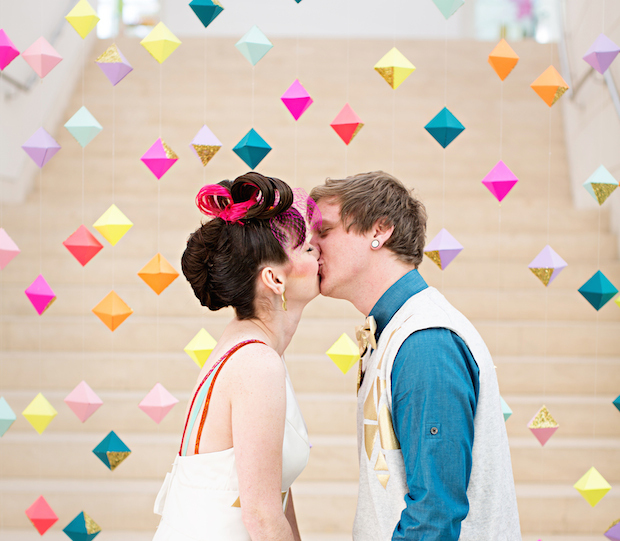 Want to take your wedding photography business to the next level? Join Jasmine Star for the Complete Wedding Photography Experience to capture those special fleeting moments of candid photography. To ensure that guests hit the right mark, put a marker of some kind on the floor. This can be just a designated area made with tape, or you can get creative. It’s also helpful to have some signs, which you can order online (like the one on the left, which comes from Wedding Affections, a really great Etsy shop) or make yourself. Set up a specific time when everyone can get their photo taken. You don’t want to spend a ton of time snapping photo booth pictures (for fear that you might miss other candid moments), and you don’t want to hire a second-shooter. Good times to offer these group photos as a wedding photographer are when guests are first arriving, right after the ceremony (when they’re coming into the reception area) or at the end of the night as people are leaving. Try to set a quick shot of the bride and groom, too. Once you’ve got your time (and you’ve told the client explicitly when you’ll be doing the photo booth), put your second shooter or assistant on the job and let them snap the photos. Limit each guest or couple to two or three frames to keep people moving. Once you’ve spent an ample amount of time at the photo booth, grab your photo equipment and return where the action is to capture other great candid photos. Have your social media accounts and contact information available to wedding guests, as well as a link to where they can find the images. Let them know that they can find them online, but if they want prints, they should contact you. This is also a great marketing tool! You may be a professional photographer, but there is no need to edit photo booth photos – people expect them to be candid shots. Guests won’t expect these to be high-quality photos, so the best thing to do is get them up with speed and make them readily available. When you import the photo booth photos, insert a small watermark in each corner. Then, either upload them all to a Dropbox link or to a Flickr page. You can either give that information right to the couple to disperse or just make it public. People love props. If you think of it or have time, head to a party supply store and just pick up a few hats, wigs, or other items to make available. These will make for memorable and great photos. 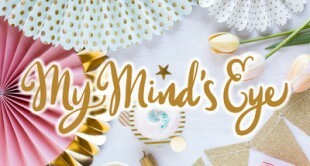 A homemade photo booth that’s offered as an extra by a professional wedding photographer might not be exactly what all clients want, but if they’re looking for a photo booth-like effect without hiring a separate company (or if you work in a rural area where there is no photo booth to rent), it’s a great craft project to dive into before the season really kicks up. Coupled with your typical wedding photography package, this will ensure that the bride and groom are truly receiving the best photography (a mix of more classic portrait photography and candid shots). Plus, look at it like a marketing opportunity – if everyone at the guest has a face-to-face interaction with the wedding photographer, they’re going to remember that name. And the facial expressions you capture in these candid shots are sure to deem you the candid wedding photographer of the year.